Pedagogy that has been designed with the current and future needs, passions and opportunities of the student deliberately embedded in both the learning activities and the environment in which they happen. We could call it 3rd Millennial Learning or Future-focused Learning – but a catchy tag, still implies that it is still something different from the norm. If we need a descriptor, then maybe all we need is ‘authentic’. By authentic I mean that the educational experiences and environment value engagement, relevance and meaning beyond just what the teacher, curriculum, government says the student needs to learn. Authentic carries with it a deeper sense of being true to one’s self. I am choosing not to use the term ’21st Century’. I will just talk about schools, spaces, learning, pedagogy and educators in terms of the culture we live in. If I do need to differentiate, then my preferred descriptor will be authentic. Authentic it is. I’m with you. I whole heartedly agree with you but have learned that to move the mass and ensure sustainable change, the hammer needs to fall for far longer than early adopters usually accept. I believe there is much work to be done and an eighth of the 21 C cannot yet account for 100 years of traditional teaching. 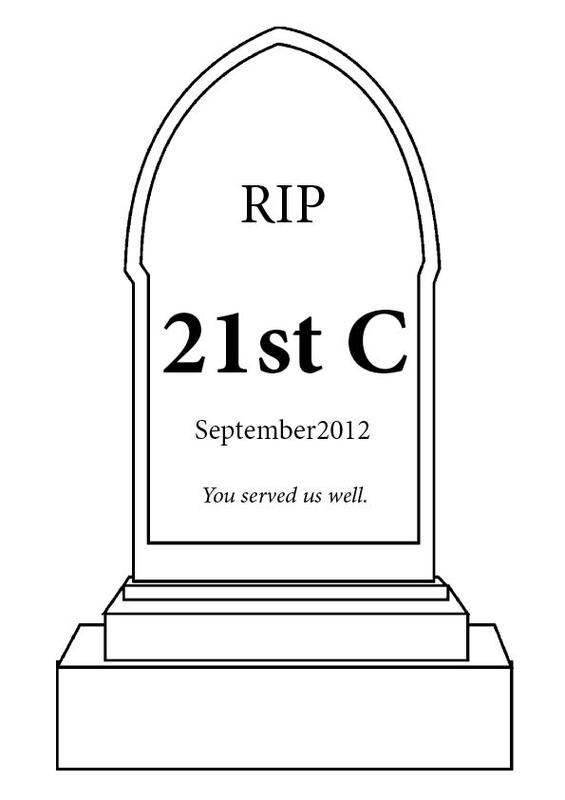 I greatly appreciate your thought to allocate the status of ‘RIP’ to this cliched term ’21st century’. We are in 2012 and the discussions on education for 21st centurt make it feel like -it is yet to arrive. it has arrived and it is time for focussed action. Authentic, Contemporary or purposeful would fit the bill than…21st…..